I Am Featured At Paper Variety! I made this layout after going through Karen Grunberg’s free class on bigpictureclasses.com. She really made me think about the stories I don’t scrap because I don’t like something about the picture, etc. So, while rummaging through my picture stash, I spotted this picture and knew I wanted to scrap it. This is a story I probably wouldn’t have ever told, so THANK YOU Karen! 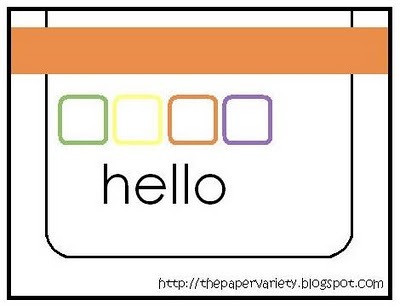 This layout is also for Paper Variety-week 22 (thepapervariety.blogspot.com.) Their challenge this week was to use stitching (machine or faux) on a project. So, in making this layout, it is all about the new big girl bed, so I decided to make it look like there was a ruffly bedskirt on the bottom of the layout. 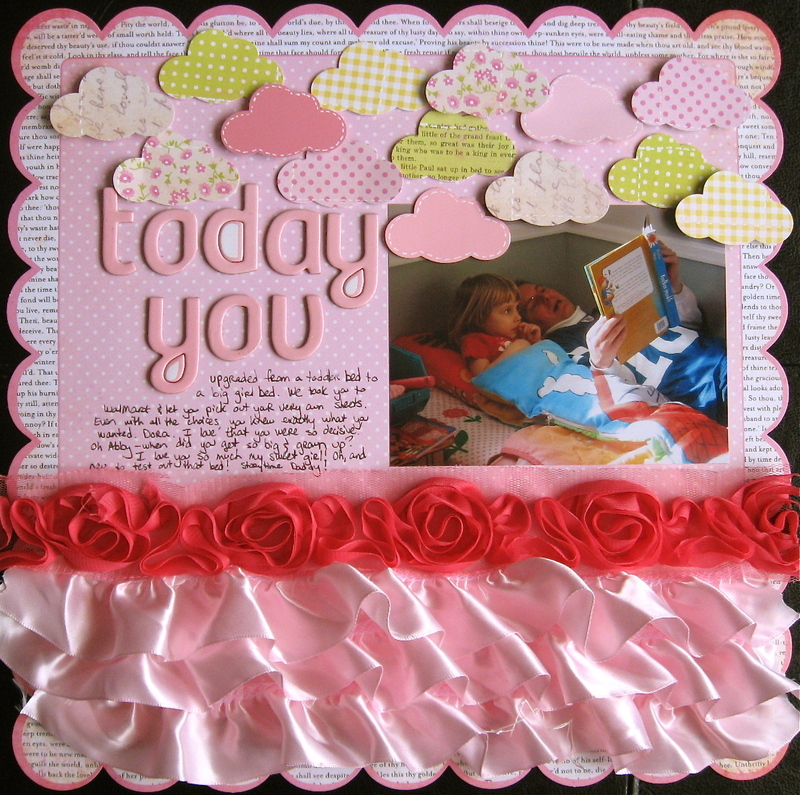 I layered three layers of some gorgeous pink ruffle ribbon on the bottom, and added the rose ribbon on top. I used my cloud punch to cover the top of the layout. All of the solid color clouds were made from pink paint chips. I used my white pen to add stitching on the paint chip clouds for added definition and to match the lines on the patterned paper clouds. I also added more “stitching” to those clouds too. Love how it all turned out!! Enjoy! The letter stickers are Bo Bunny Press (very old), and the rest of the stickers are Studio Calico from the Documentary collection. I have been playing along since the beginning of the year, but rarely get them done in time for the deadline, so happy to be on time today! Enjoy the day! So, I wanted to challenge myself to use one sheet of patterned paper to make some projects. 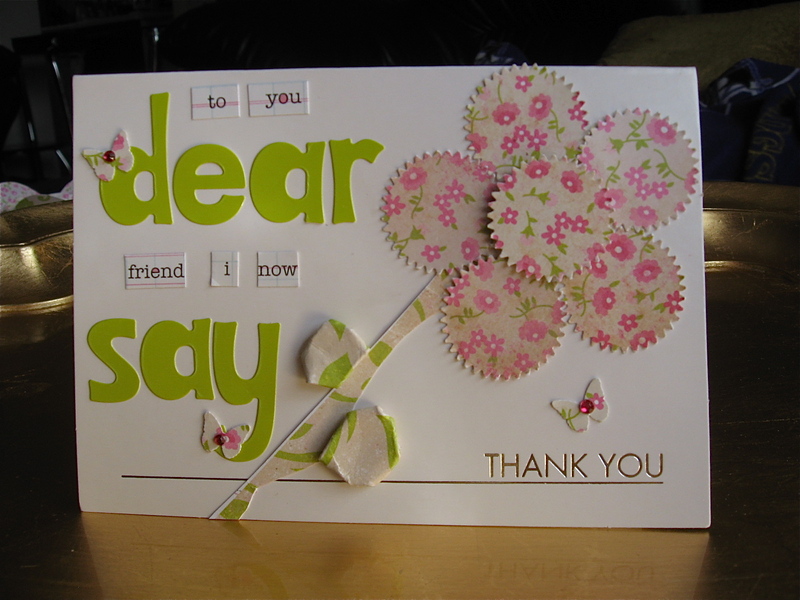 I chose a piece of Girls’ Paperie floral paper and here is what I came up with! 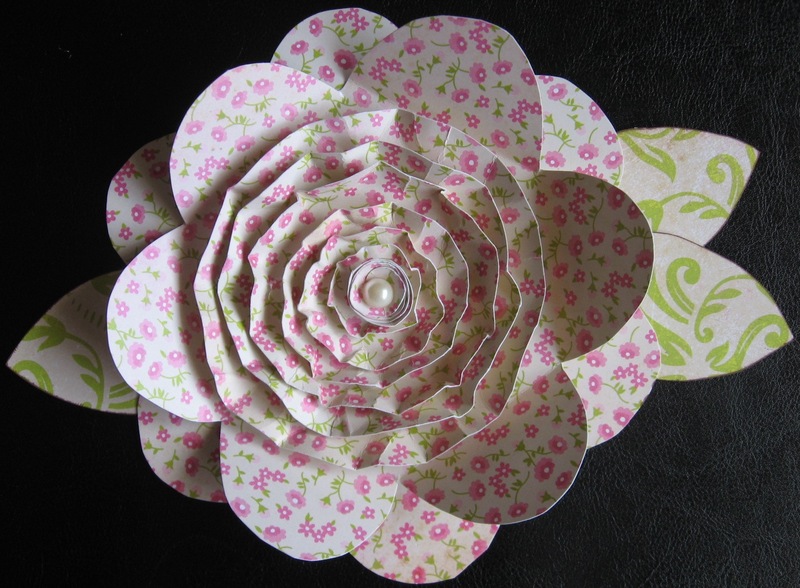 This flower turned out quite large (about 7 inches across), and will be going up on the wall in my craft room-fun! 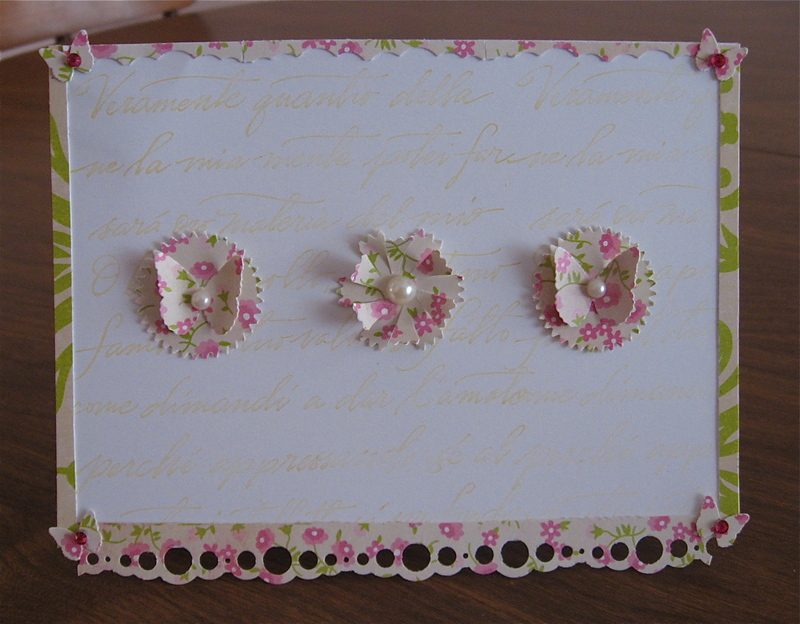 To make the flower, I used a Maya Road mini album in the shape of a flower to trace my outer two flowers. The first one I left flat, the second I rotated a bit, attached the center, and then folded the petals up for added dimension. Then I cut circles from large to small, folded up and pinched the edges to create more of a bowl shape, and adhered them as well. I added a rolled paper flower and a Prima pearl to the middle, and attached hand-cut leaves to the bottom (same paper, just the other side)-inking the edges in brown Stampa Rosa ink so they would stand out a bit better. I really like how it turned out, and hope to make some more! For this one, I used my Martha Stewart medallion punch, cut slits in the medallion and folded up every other slit to create flower petals. 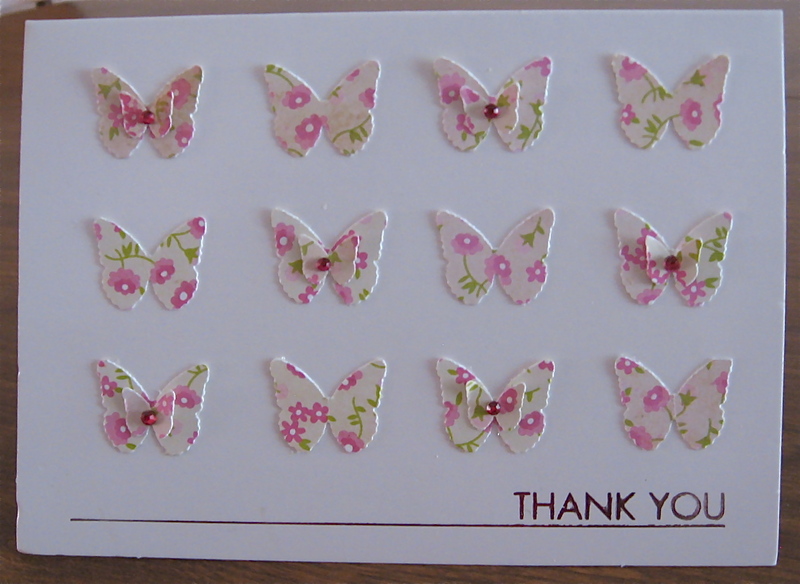 Also used my Martha Stewart butterfly punch. I love using this punch on my scraps to use them to the fullest! The jewels are Basic Grey. LOVE these cute little flowers! 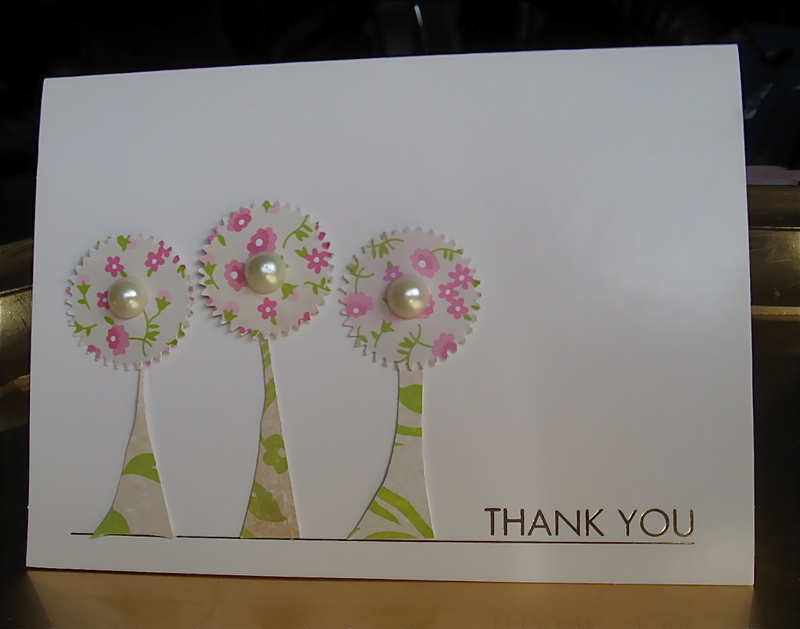 The stems were what was left from all the circles I cut out of the sheet of paper. Same supplies as above-just added my favorite script stamp and my EK Success bubble punch. The top border was made out of the scraps the bubble punch made. This one was made for the Paper Variety Week 18 Challenge to create something to do with friendship. I added stickers from Girls’ Paperie and Jillibean. So, there you have it! 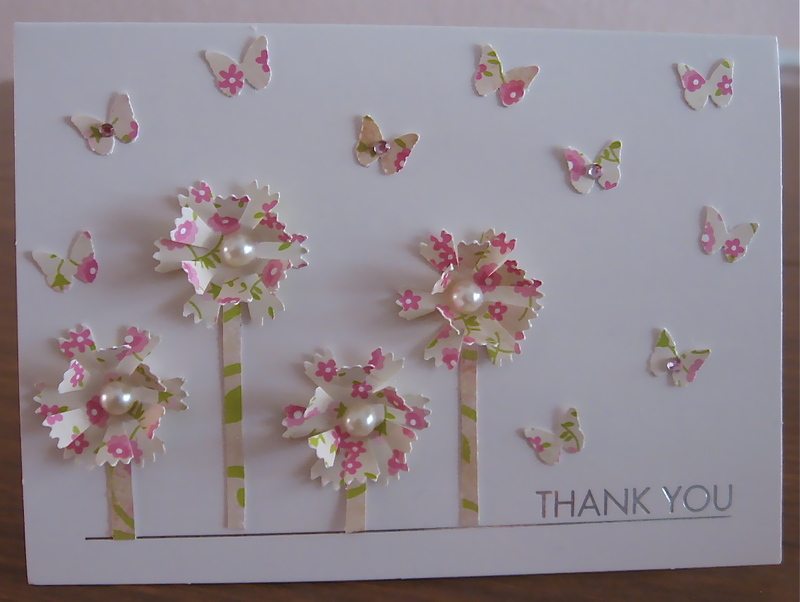 I still have a few small punched butterflies, but otherwise, I REALLY used up this paper. Hope you had fun looking, and I encourage you to play along! And, if you do play along, let me know-I would love to see what you come up with! 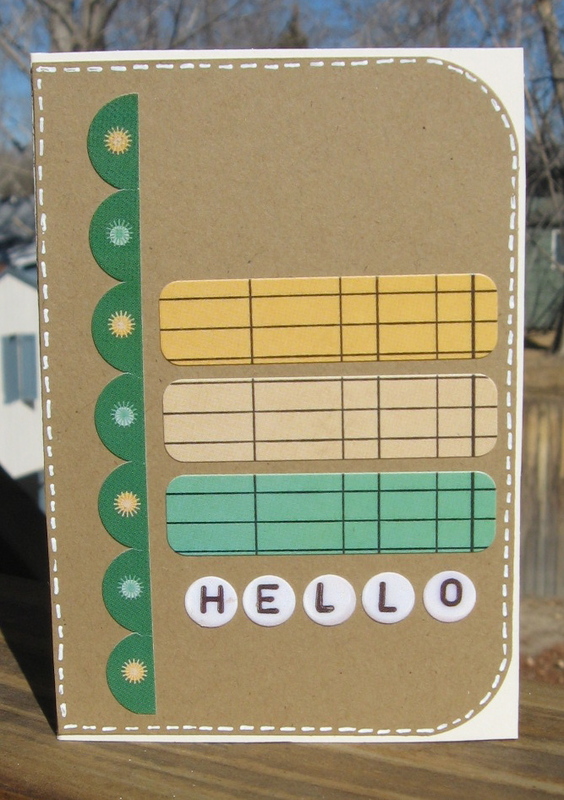 I made a quick tag that is going to be attached to a certain little girl’s Valentine’s Day present. I have some fun little stamps that say “forget me not”, “love you sweet”, etc. Thought they would be perfect for this challenge! 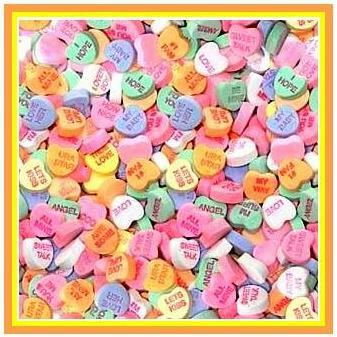 I attached the flowers, hearts, and bling to the outside of the packaging, and added rolls of smarties to the inside for a sweet treat. SNR requested one of my favorite layouts “You Might Be A Husker Fan” today for the February issue. Yay! So, one of my goals this year is to start submitting for publication to different places. 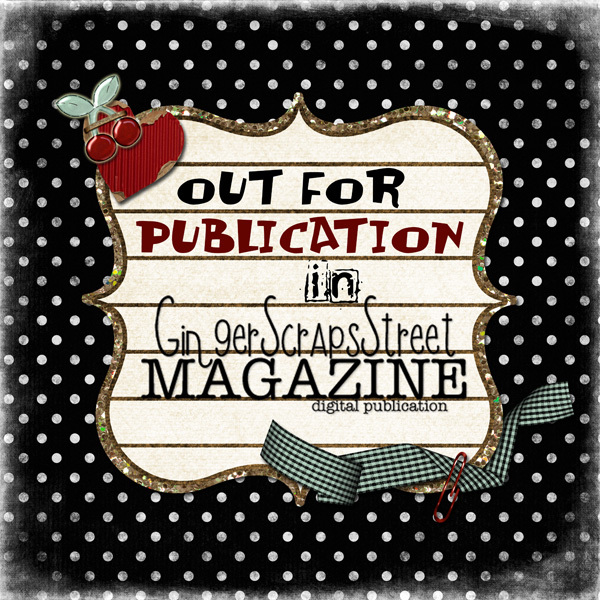 In January, I submitted to SNR, and also tried somewhere new-GingerScrapsStreet Magazine. I just got an email that I have one layout being picked up for the April issue! FUN!